Promotional value expires 120 days after purchase. Amount paid never expires. Not valid toward taxes, gratuity or delivery fees. Valid for dine-in only. Limit 1 per person, may buy 1 additional as gift(s). May be repurchased every 30 days. Limit 1 per visit. Limit 1 per table. Valid only for option purchased. Not valid for happy hour specials. Merchant is solely responsible to purchasers for the care and quality of the advertised goods and services. Decorated with white linens and elegant statues, Haweli transplants India’s varied, spicy dishes into an eatery that emulates the opulence of a haweli —a place where ancient Indian royalty met to indulge in fine dining. 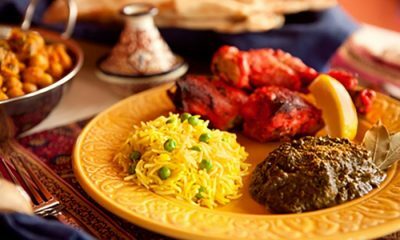 In each kitchen, native Indian chefs fuse the rich spices and flavours of North Indian cuisine into authentic curries, rice-based biryanis, and clay-oven-baked tandoori entrees. They also have a Classical Musical Night that occurs every Saturday starting at 6:30pm.